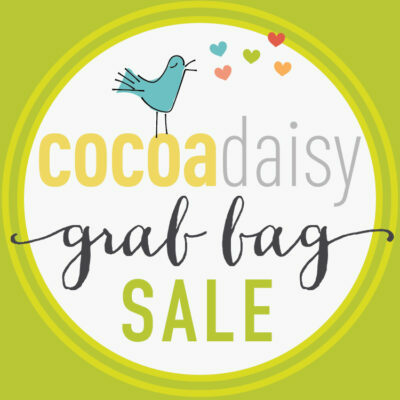 Hello lovely Daisies.Kylie with you all again today!Can you believe it is March already?? This year feels like it is flying by. 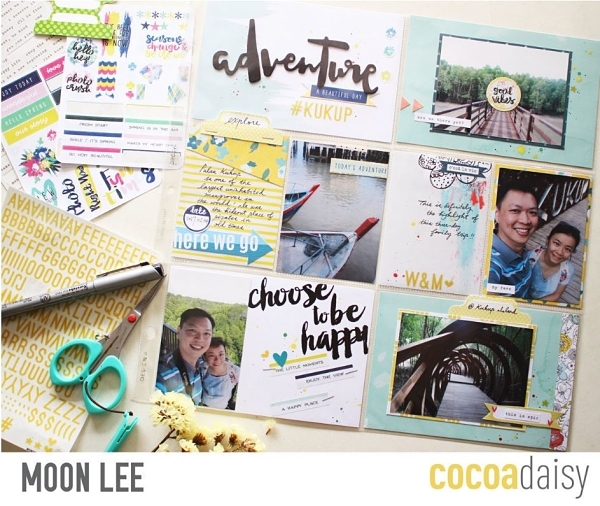 Today I am going to share with you all some projects by the Design Team using the March Day In The Life kit. I really love the uniqueness of this kit and the endless creative possibilities it gives you, as you will see by what my talented fellow design team members have created. 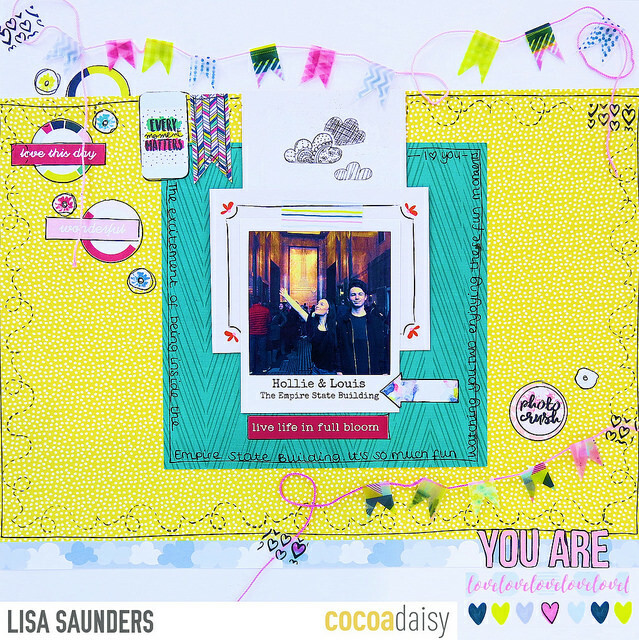 First up is a gorgeous layout by Lisa.I love Lisa’s colourful and fun style! 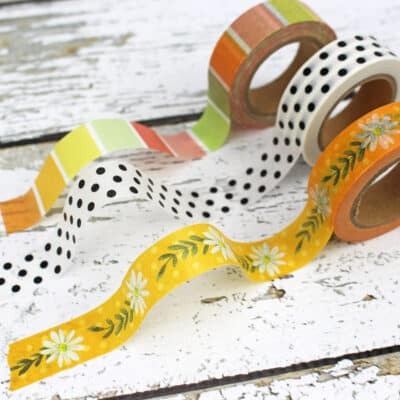 She has cleverly used the washi strips from the kit to create the cute tab garland as well as the stamps to use as a border. A few DITL cards back her sweet photo, surrounded by her journaling.Beautiful! Next we have a pocket page by Moon. Straight away when I look at Moons beautiful pages I see they tell a story.She has documented a special memory so creatively and I love her use of stickers and tags as overlays.I also love how the floral paper from the scrapbooking kit has been used to edge over her journal card.Just divine! Next is some cards by Suz. This ‘Toadily’ DITL card was one of my fave’s and I love how she has used it to centre her card.The graphics are so cute.Suz has also used the washi strips from the kit as her background. I think it gives a gorgeous balance, such a fun card. 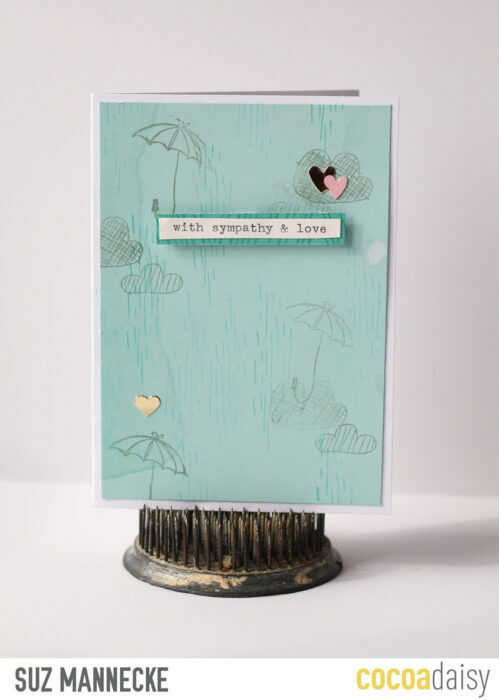 Suz has used some of the stamps ever so delicately as a background for this sympathy card. Here is another project by Suz. Some glorious pocket pages.A few more cards have been created with the DITL kits and stamp set. 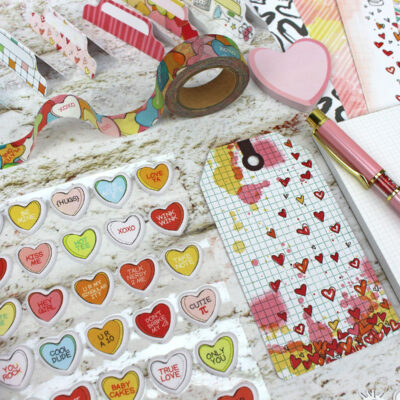 She has used a washi tape sticker from the 12 x 12 sheet set in the main kit as a tab for her hidden journaling (bottom right). 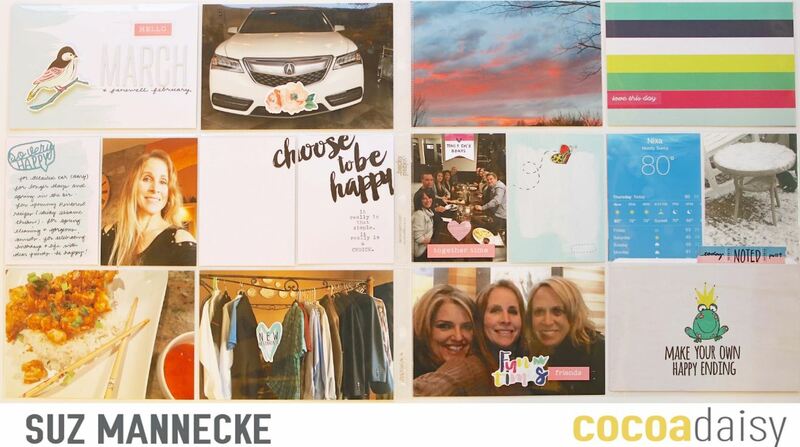 I really love her nod to the weather by including a print out from a weather app.Great idea! Next is a beautiful pocket page by Marie.This is just so bright and happy! 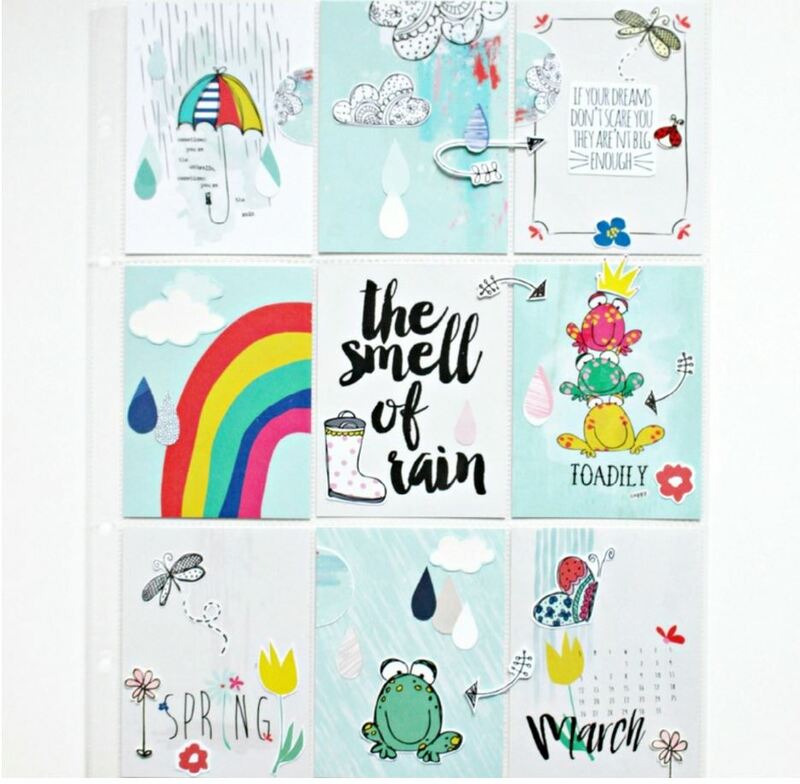 If you look closely you will see Marie has fussy cut some of the rain drops from one of this months papers and used them as a decorative overlay.I also love her use of some of this months stamps.So pretty! 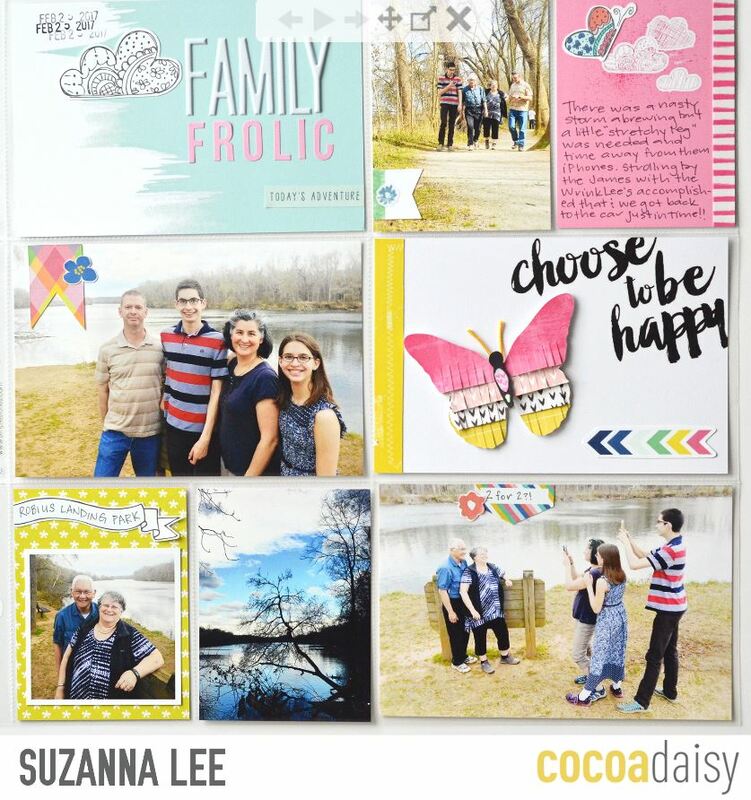 Next is a lovely pocket page from Suzanna. 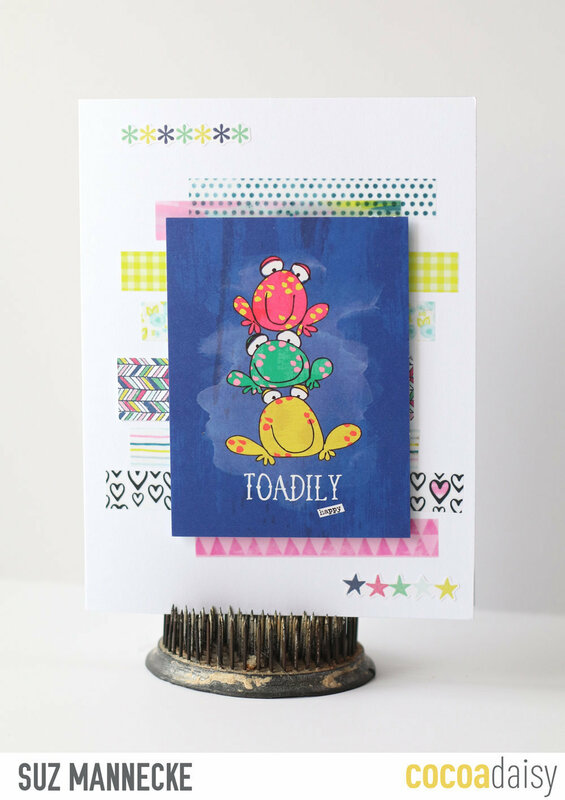 I love her use of the alpha stickers from both the DITL and main scrapbooking kits as well as the stamping. 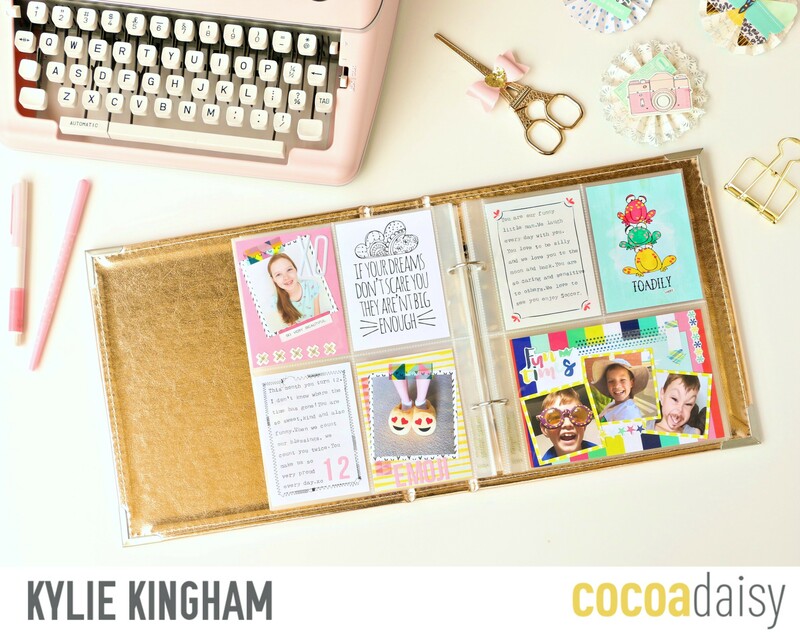 Next up is a cute layout by Katherine.I love how perfectly her photo co-ordinates with this months theme! Just gorgeous! 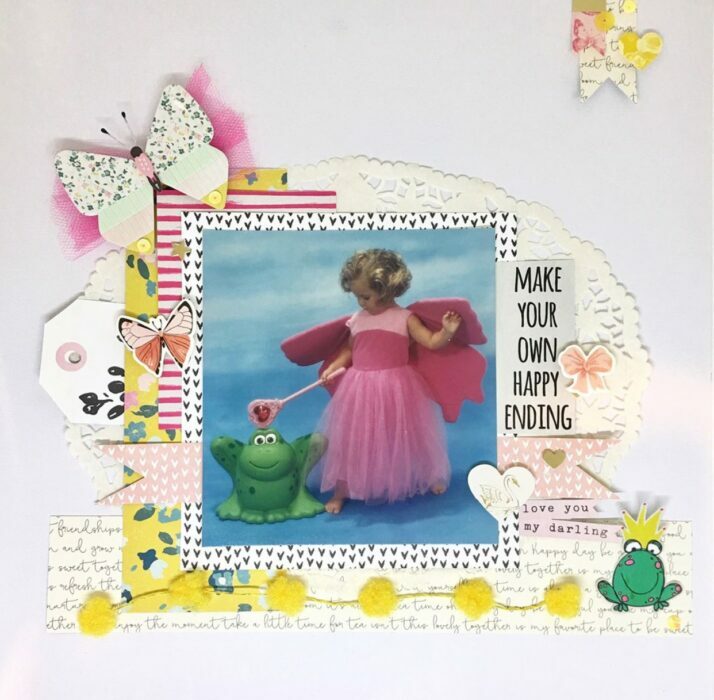 There are so many pretty elements to this layout using lots of the DITL kit as well as the main scrapbooking kit. Next is my little project.This year I began documenting each month, very simply in a small pocket album.For March I have used two of the blank cards to type my journaling on.I have used the exclusive papers as a backing card as well as using lots of the washi strips and stickers to finish.I want this album to be fun and something to look back on and reflect.It is capturing some of our most candid moments.The DITL cards lend themselves perfectly for me to be able to do this. I hope you have enjoyed seeing our creations today and that it inspires you to create your own. 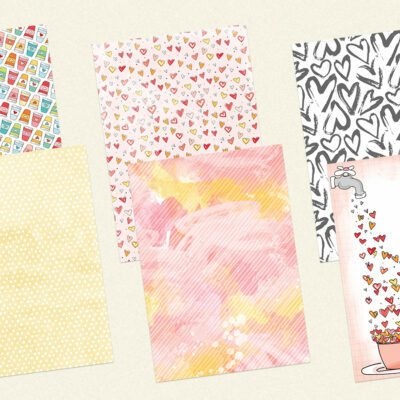 Spring Inspiration With Cut Files! Wow! thank you for the inspiration today. Just wow! Thanks Julie, I’m so glad you enjoyed it!